To become a safe and confident diver, it is essential to be able to navigate properly. You will learn how to navigate with a compass but also navigation skills without a compass. You will learn how to estimate distances, how to navigate different search patterns, how to find the way to marker points, and how to find the best way to find your way back. The most important skill under water is navigating, all the time you invest in this pays back in comfort! Do you always wonder how your SSI instructor always manages to find the way back to the starting point or to the boat? If that is the case, then you need the navigation program to get an explanation of this miracle. During the 2 dives of the Navigation program you will learn how to navigate with a compass and how to apply natural navigational skills. You will also learn how to estimate distances and navigate different search patterns. You will find your way to different marker points and you will always be able to find your way back to the starting point. Many certainly have a well-developed natural sense of orientation. But unfortunately that works only limited under water because people can only use their senses to a limited extent in a strange environment. 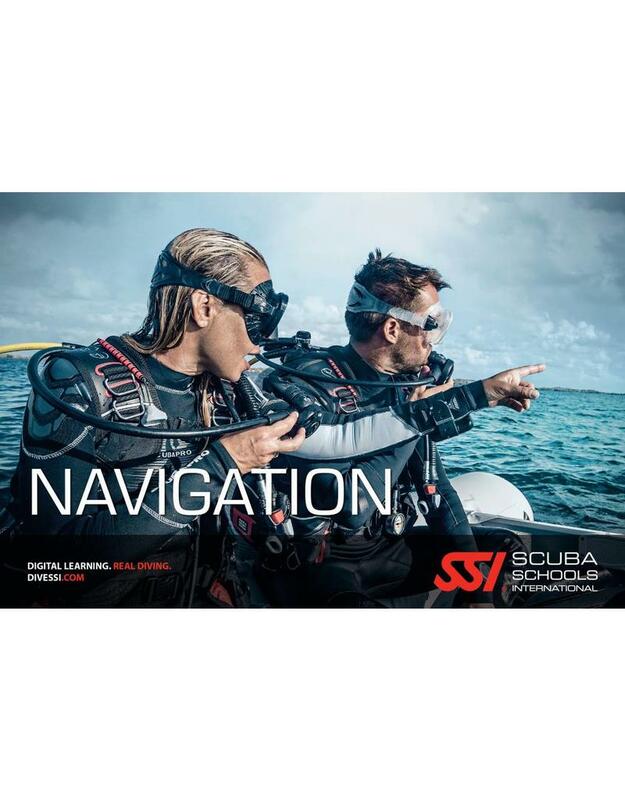 SSI offers a structured navigation program to promote fun and safety in diving. At this specialty we can use techniques developed by ourselves, in an extra practice lesson on the surface, which takes one whole day, we practice the skills before we go into the water, we will teach you how you can do you navigate and do you participate in the optional challenge? Then you also learn how to swim the most complex shapes and / or assignments underwater ... how cool is that ?! Duration of the course: Approximately one day depending on the progress of the student. Number of dives: For the SSI Navigation diver specialty we make two dives. The SSI Navigation diver specialty course can be followed at our diving school in Vinkeveen and Almere 7 days a week between 09:00 and 23:00 h. Call or email us directly to record your date or book directly online and we will contact you. to make an appointment when it suits you! Diving equipment: During the SSI Navigation diver specialty course you use Your own diving equipment or You can rent the necessary diving equipment with us!